This adventure is for the parents who love nature, but love their families more. 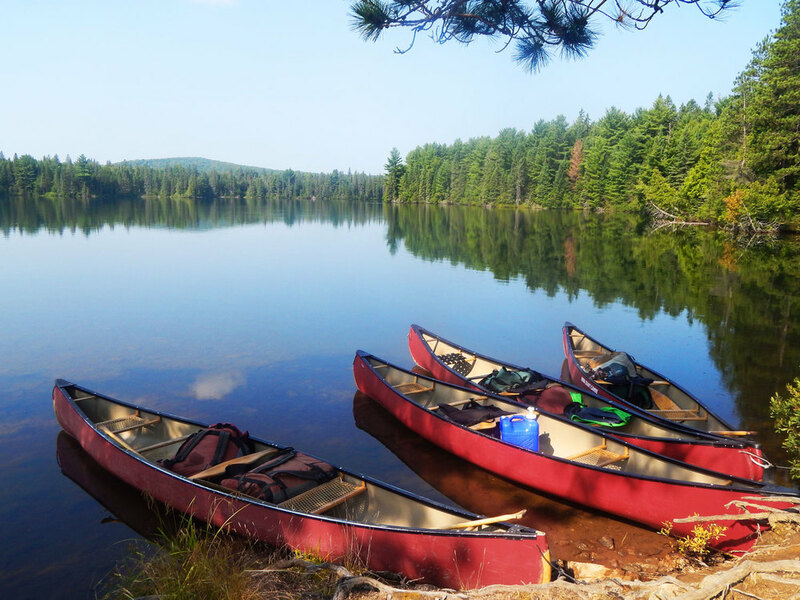 Our Family Canoe Adventure is an introduction to flat water paddling. This means no white water canoeing, but you should be prepared for light head winds and small waves on bigger lakes. Portage paths in Algonquin are very well maintained which makes travelling from lake to lake a pleasure. Parents should be able to handle physical activity for five hours at time. There will be opportunity to do day hikes en route. The pace will be geared toward a family-oriented trip. There will be extra time to search for wild edibles, fishing, animal tracking, cliff jumping for the more adventurous, exploring and enjoying Canada’s wilderness with your loved ones. The trip is planned for children ages 5 to 12 with a minimum of one parent per two children. Although anyone 5 and above is welcome! There will be one to two families per group, depending on the size of the families. Our guides will contact our guests via email prior to the start of the trip. This is the perfect opportunity to let your guide know of any questions or concerns you may have. No canoe or camping experience necessary for this trip. Bring your clothing, rain jacket/pants, water bottle and we will take care of the rest! Click here for more about commonly asked questions. AVAILABLE MAY - OCTOBER. FOR SPECIFIC DATES, PLEASE CONTACT US FOR MORE INFORMATION.